I added Google Ads, hopefully they don't bother any users. It was very easy to set up, the only real work was editing the stylesheet. It would be nice if people didn't use adblock, but it would also be nice if ads weren't obnoxious. At least Google Ads don't blare audio or invite you to "punch the monkey". 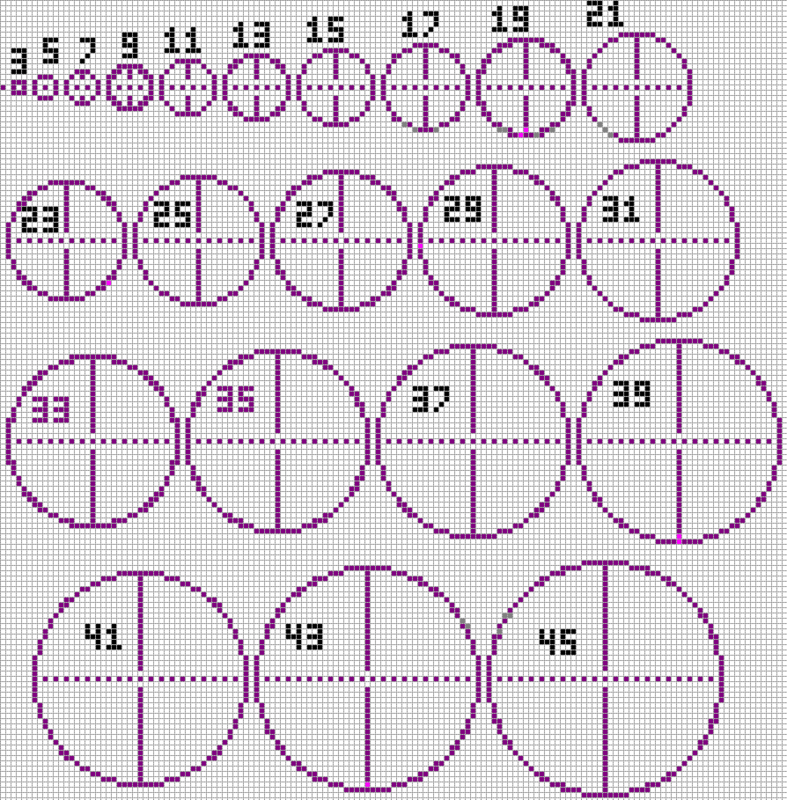 At first I was using a very basic algorithm to calculate circles. I tested every single cell on the graph against the list of circles. If sqrt((x*x)+(y*y)) was less than or equal to the radius of the circle and greater than (radius - 1), fill in that cell. This worked but it was slow and didn't allow for the click and drag panning that I had in mind. I looked around for a more efficient algorithm and found Bresenham's Circle Algorithm. I don't think Bresenham wrote the circle algorithm, but he wrote the line-drawing algorithm that inspired it. This sped everything up and allowed me to make the app much more interactive. I'm using Google App Engine to host the site. I might take advantage of their backend storage to save designs or I might save them locally using HTML5. I haven't gotten around to that yet, but I'll keep you posted.